Providing firm and even support, the Ultimate Performance Ultimate Carpal tunnel wrist brace promotes faster healing and offers a soft neoprene blend for added comfort. To hold the wrist in a neutral and stable position, the wrist brace features a rigid aluminium stay and it is easily adjustable to deliver a customised fit and required compression. 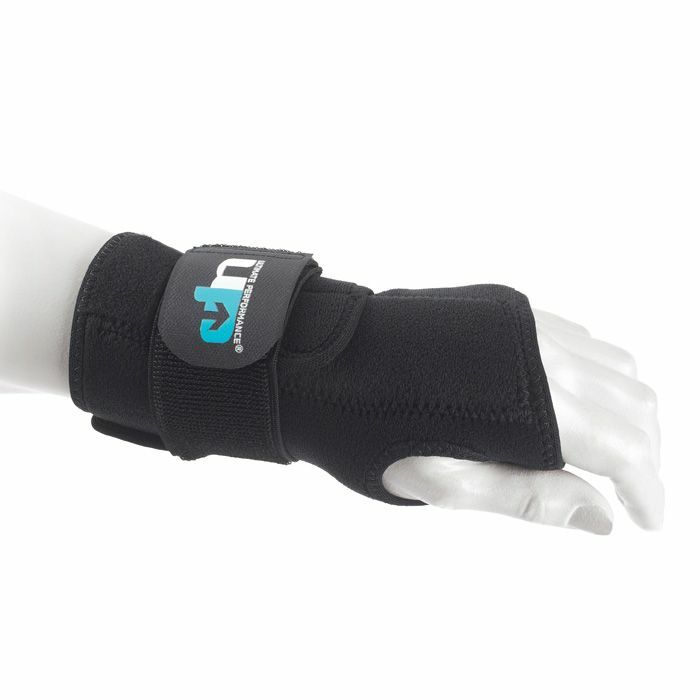 Additionally, the brace ensures moderate support (level 2) and has been designed for carpal tunnel syndrome, sprained, stiff and weak wrists. for submitting product information about Ultimate Performance Ultimate Carpal Tunnel Wrist Brace We aim to answer all questions within 2-3 days. for submitting product information about Ultimate Performance Ultimate Carpal Tunnel Wrist Brace. We aim to answer all questions within 2-3 days. If you provided your name and email address, we will email you as soon as the answer is published. for submitting product review about Ultimate Performance Ultimate Carpal Tunnel Wrist Brace.